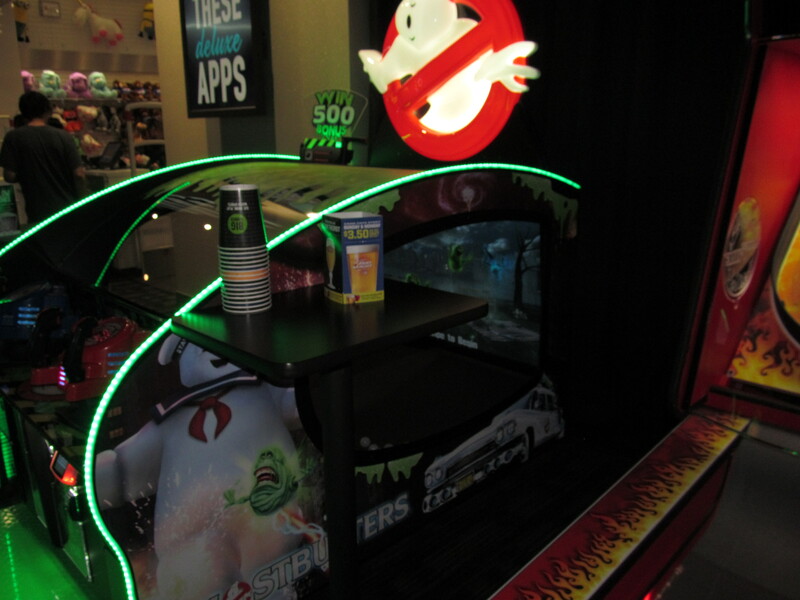 Over the past few months I have been playing the Ghostbusters Videmption arcade game by Ice at my local Dave & Busters located at the Walden Galleria Mall in Cheektowaga, NY. 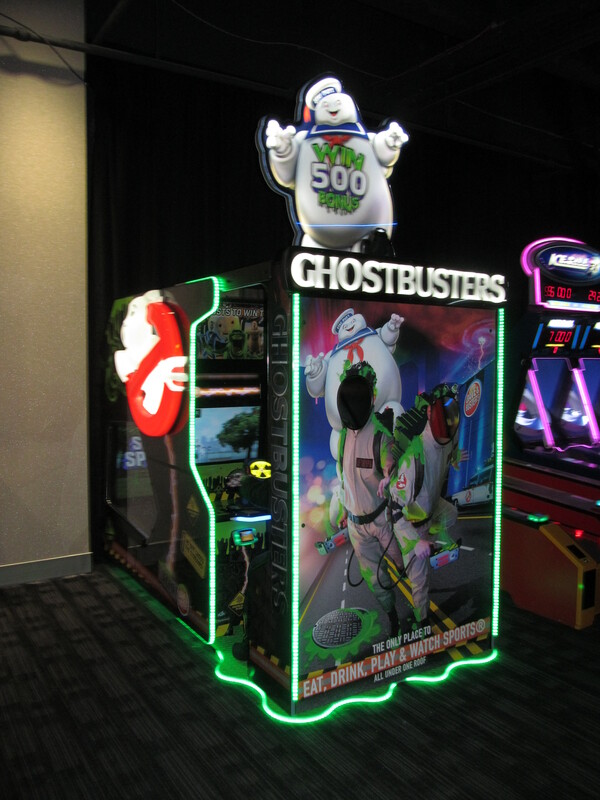 We have had this game since May 2015 in our local Dave & Busters and the game followed the store to its new location in the Galleria Mall. 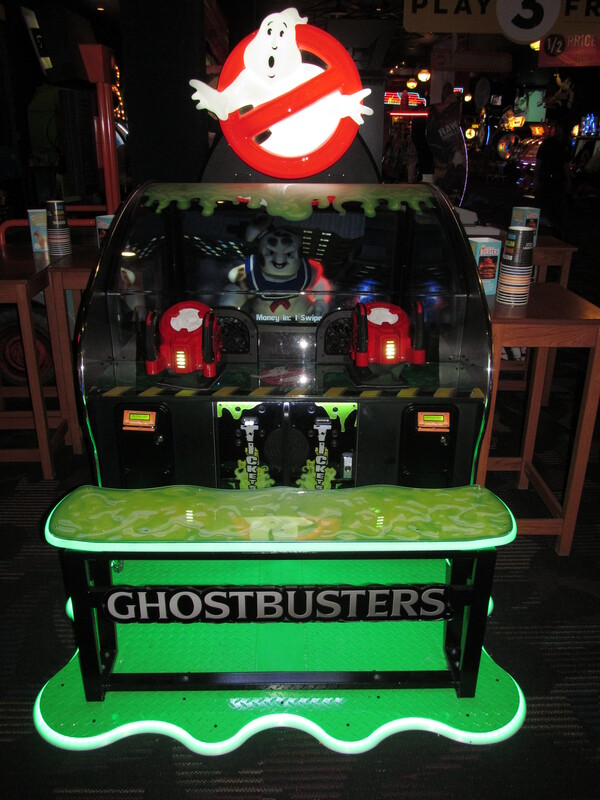 While I was at Dave & Busters over the weekend I noticed a lot of changes to this game. The first notable change is the game’s cabinet. This game went from a 2-seater open air type cabinet to a 2-seater enclosed type cabinet with lots of extras added on. Video of me playing the “new” version of this game. Ghostbusters is a videmption game where you have to blast ghosts with a gun. Now for the differences that I can notice at least. The old version of the game gave out way less tickets. I noticed when watching people play that most people would usually get in the range of 40-50 tickets per play, as you can see I got 38 tickets on my play. When I played the new version I got 94 tickets and the person before me got around 70 tickets so that is an increase in the number of tickets payed out by this game and I didn’t even make the bonus round in my play. The game is currently 6.8 points per play at my location. The most obvious difference though is that the old version didn’t have the white ping pong type balls inside the machine, or it had very few of them inside the machine and they weren’t being used for anything. I had trouble figuring out why there were a couple random ping pong style balls inside of a machine not doing anything. I assumed they were there for decoration or I hadn’t accessed the mode of the game that used them. Well with the new version I found out what they are for. When you shoot the guns at the ghosts in the game instead of blasting them with a regular gun you blast the ghosts with the ping pong balls, and they physically bounce off the screen. Its a nice touch to add to this game. This game is a very popular game at this location, at least from what I can see. 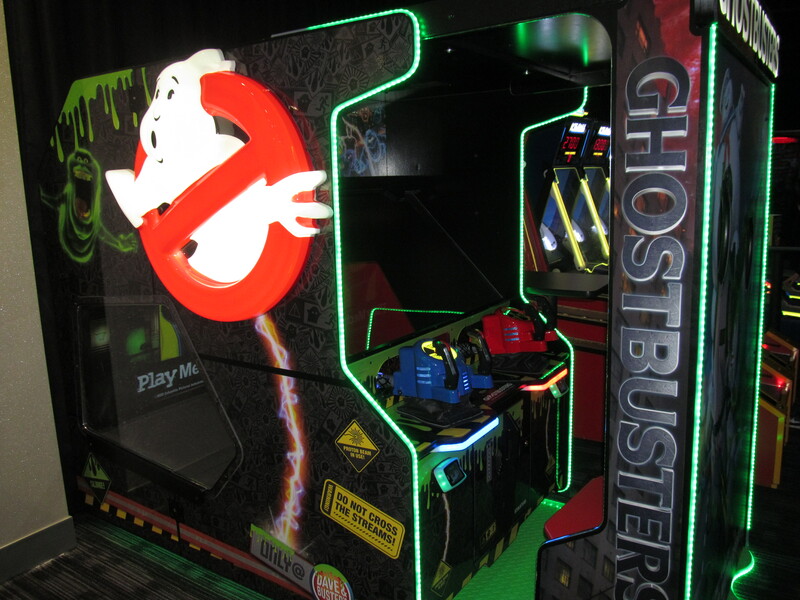 I love the Ghostbusters franchise, and it seems to be something that most generations of visitors to the arcade can enjoy. Does it have elements of adventure like from dead storm pirates and let’s go jungle? A sort of a story mode if you get me.